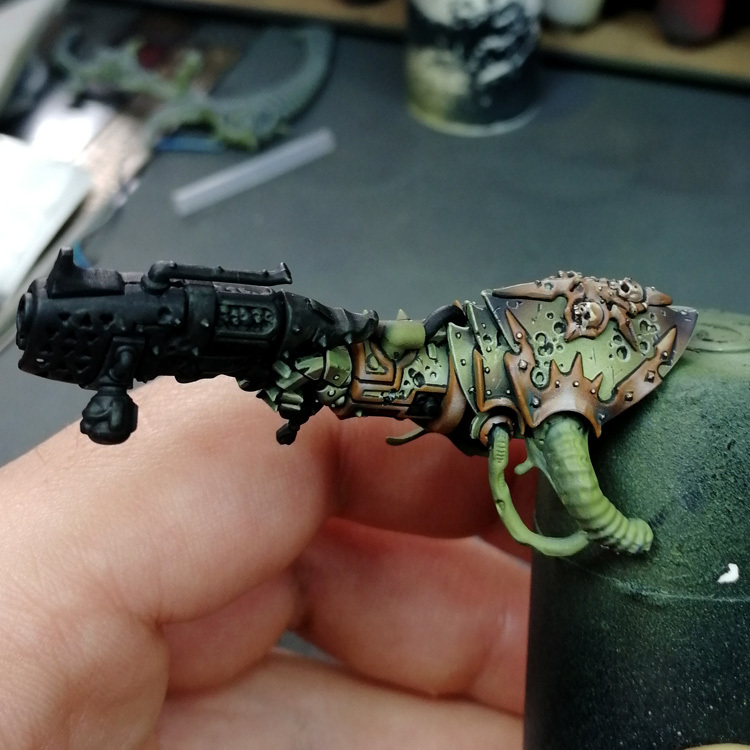 This week's work is a bit repeating the previous steps we did during weeks 1&2; It's an exciting week as we could finish a couple of pieces completely so the moment to start assembling them is closer (but probably not yet next week). 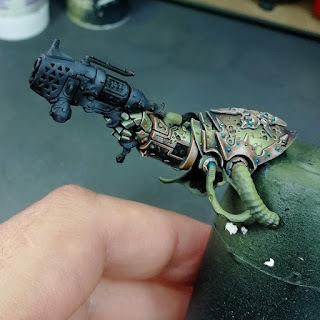 STEP 53: now we can start the second piece. 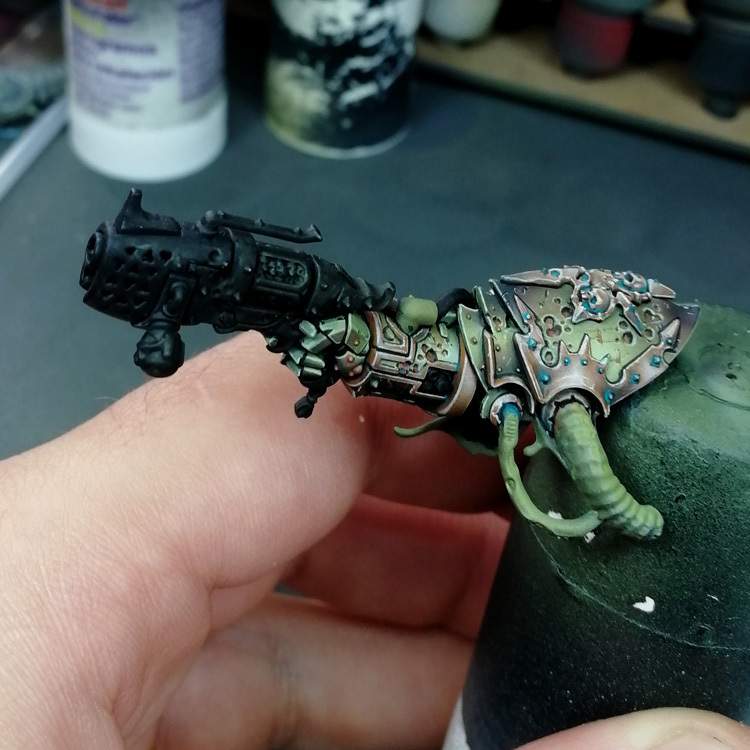 Armour and bronze trims are exactly the same as previous work in the body. STEP 53 (bis): in the same way we finish the rust of the green parts. 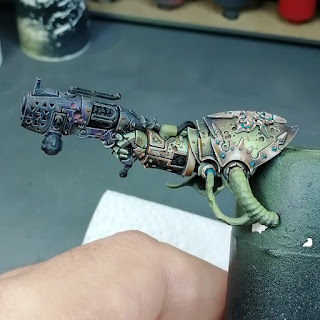 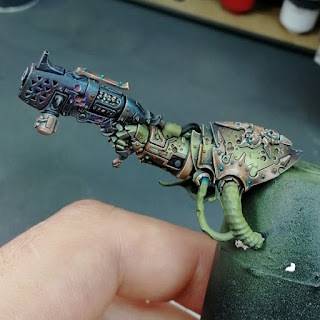 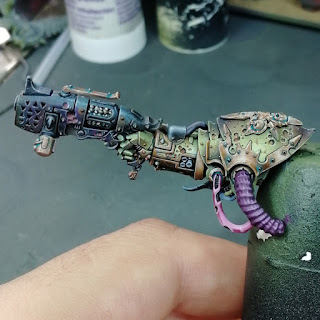 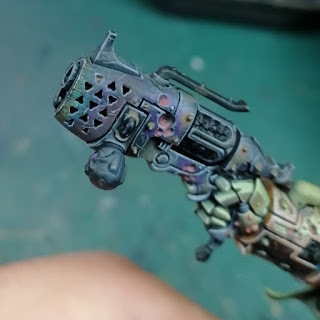 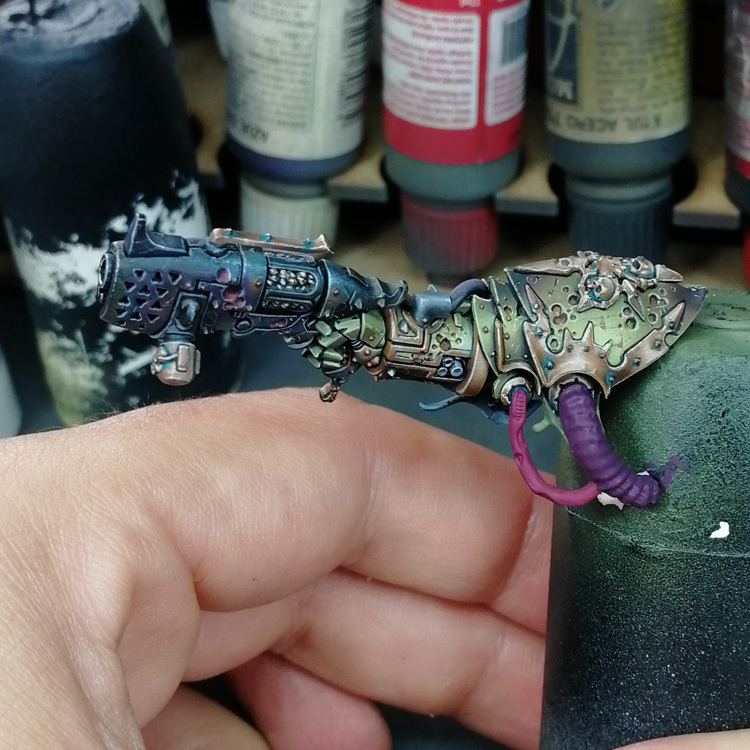 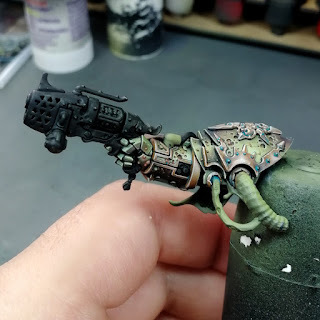 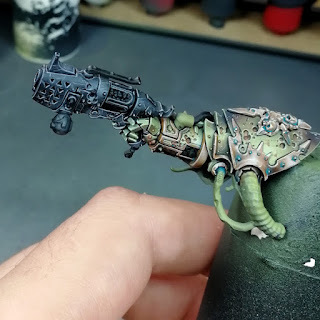 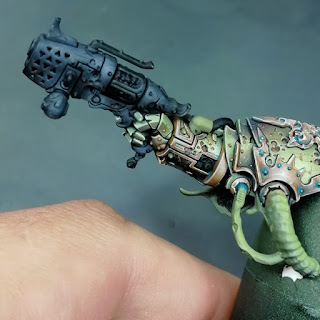 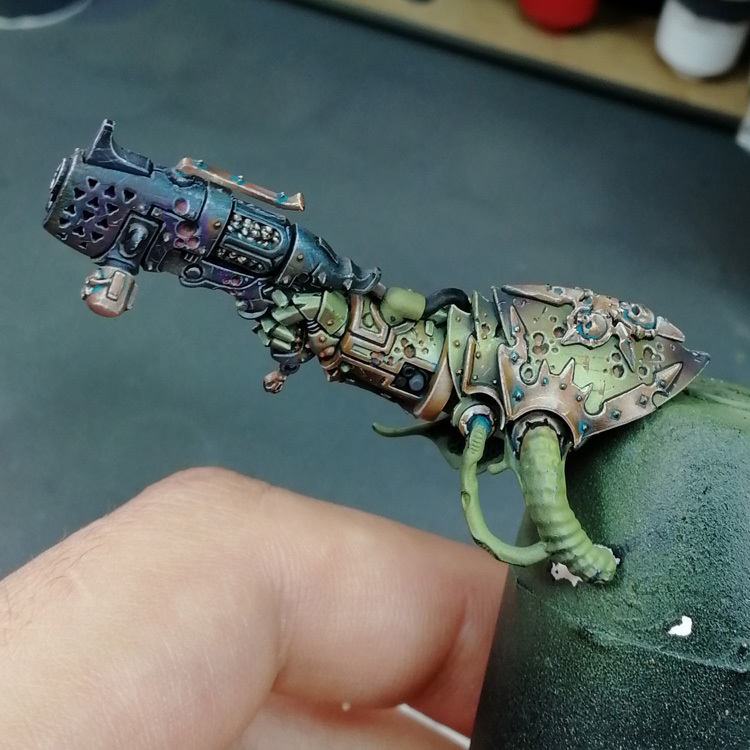 STEP 58: I tried to add a burnt effect to the front of the weapon with a degree from yellow to turquoise to red to purple, and a bit of carbon black painted as lines. STEP 59: I painted the bronze trims exactly in the same way as in the body (see previous steps), and noticed that I need a bit more light so I added it using @Acrylicos Vallejo Ivory and @Games Workshop Hawk Turquoise. 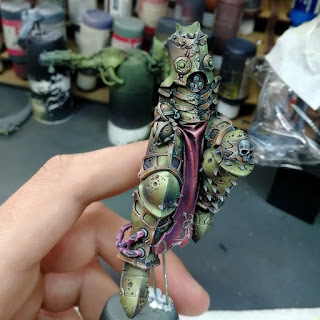 STEP 60: In the same way I did in the leg (steps 23 to 26) I painted the organic parts, just making them different with different proportions of purple to basecoat. 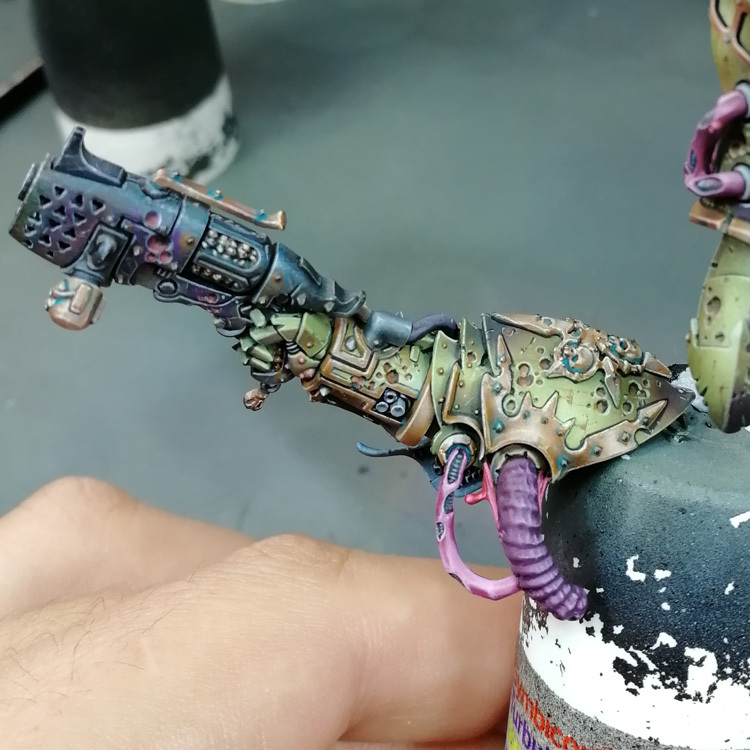 STEP 60 (bis) here we can see the progress. STEP 61: And the finished piece.